Footage of Syrian government forces firing on rebels from ANNA-News, a news agency associated with el-murid. YouTube screenshot. As Russia and the United States are trying to work out a tenuous agreement on the matter of foreign intervention in the Syrian conflict, the slim hope that the United States will refrain from military strikes is in danger, reports el-murid [ru], a Russian blogger who writes extensively on the Arab world and conflict in the Middle East. Хочу сказать сразу – информация, которую мне сейчас передали, непроверяема. Однако она тревожна настолько, что умалчивать ее попросту нельзя. На столе у Путина лежит указ о снятии с должности министра иностранных дел Лаврова. Его должен сменить нынешний замминистра Рябков. Атака на Лаврова идет с подачи аппарата правительства, вменяется в вину ему излишне жесткая позиция во время сирийского кризиса и осложнение отношений с Соединенными Штатами. I want to start by saying that the information I just received is unverifiable. But it's so worrying that I cannot keep it quiet. Putin's desk has an executive order laying on top of it, dismissing Lavrov as the Minister of Foreign Affairs. He will be replaced by the current vice-minister Ryabkov. The attack on Lavrov comes from the ministerial apparatus, who blame him for his hard-line position on the Syrian crisis, as well as a deterioration of relations with the United States. Lavrov has been vocally opposed to US military intervention in the conflict. He has also been instrumental in creating the recent plan for Syria to turn its chemical arsenal over to international authorities. If he does indeed get sacked, this would definitely mean change in Russian foreign policy. El-murid claims that this change would be in the direction of accommodating the US in passing a UN resolution authorizing military action in Syria, and could be a catalyst for reneging on agreements with Sec. of State Kerry. 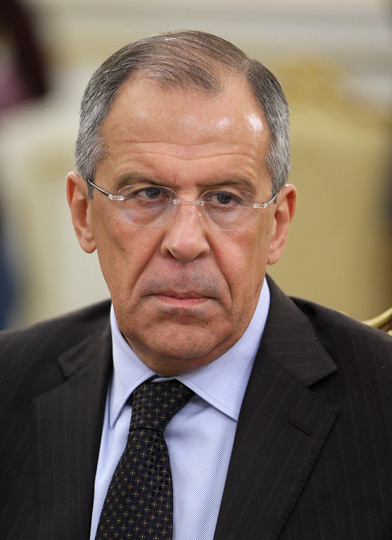 Russia's Foreign Minister Sergey Lavrov. Wikimedia Commons, CC 3.0. All of this must be taken with a large grain of salt, as el-murid's trustworthiness as a source is unclear at best. Deanonimized [ru] as Analtoly Nesmiyan, he is a self-proclaimed military expert with ties to the intelligence community who has apparently never served in the military. He is associated with ANNA-News [ru], a one-man news agency founded in 2011. 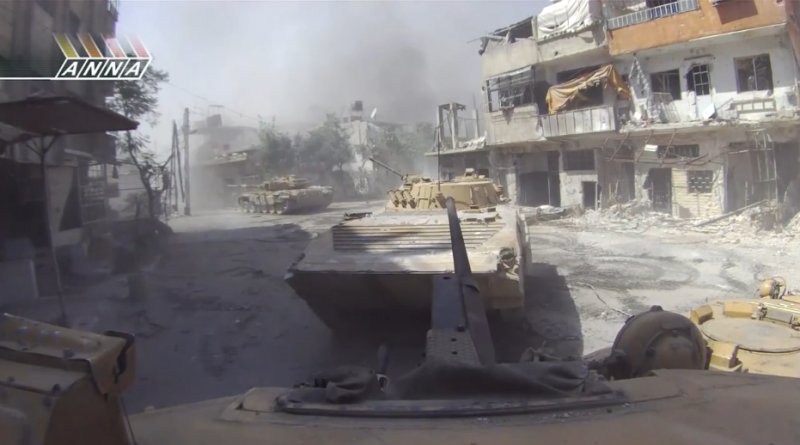 For the past year the agency, run by one Marat Musin, has reported from Syria via YouTube videos. It has been alleged that it has ties to the group Friends of Syria, and is perhaps funded by the Syrian government. In 2012 Nesmiyan came under attack from the political analyst Lev Vershinin [ru], who blogs under putnik1. Vershinin accused [ru] Nesmiyan of supporting the Syrian opposition, being involved in the kidnapping of the journalist Anhar Kochneva [Global Voices report], and being a small-time crook in the 1990s. Тем не менее, если в этой информации есть хотя бы грамм правды, то считаю, что сделал все правильно. Сам факт того, что подобные вещи делаются втайне, говорит о том, что огласка этим людям очень не по нутру. Поэтому и нужно делать то, что противоречит их интересам и планам. Если Лаврова снимут – даже с повышением – я опубликую те имена, которые стоят за таким решением. Они мне известны. Nevertheless, if this information contains even a gram of truth I think I was in the right. Just the fact that such things are done in secret says that these people don't want publicity. That's why one should take actions that oppose their interests and plans. If Lavrov gets the sack – even if he gets promoted – I will publicize the names of the people behind the decision. They are known to me.